TORONTO, ON – Canada Basketball has announced two national initiatives to help foster alignment in the development of basketball across Canada. Canada Basketball and Canadian Interuniversity Sport (CIS) recently signed a sport development memorandum of understanding (MOU). The MOU focuses on the national development of coach education, athletes, officials, 3X3 basketball, competition model, marketing and events, and sport technical sub-committees. 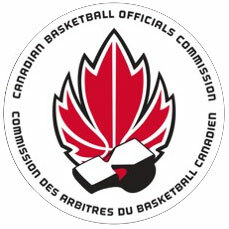 As part of the MOU and the development of officials, Canada Basketball is pleased to announce the formation of the Canadian Basketball Officials Commission (CBOC). The commission’s mandate is to set policy and develop strategies aimed to improve officiating throughout the country. “CABO is happy to join the CIS and the CCAA on the new CBOC. We look forward to the opportunity to work with all involved in this partnership designed to improve the delivery of basketball officiating services and programs throughout the country,” said Morgan Munroe, President of CABO. The members of the CABO National Council voted overwhelmingly in favor of this new initiative. CABO will continue to play a critical role with its provincial officiating bodies and their various local boards. CABO will also work with the CBOC to enhance existing programs and roll-out new opportunities to better meet the needs of its 4,000 members.